Ron Sheffield has over 30 years of experience when it comes to architecture, and with his expertise in Barn Conversion Architects he will be the right architect for you. 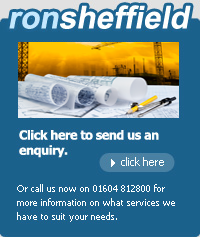 Working in and the surrounding areas, Ron Sheffield has experience in various projects like extensions, alterations, new build and eco projects. With his great passion for architecture and Barn Conversion Architects, Ron can meet your project goal you wish to achieve, and with his two team of architects at Lifestyle Design Architects Limited they can assist him along the way. Our professionals provide you with a variety of architectural services including Barn Conversion Architects. We want to ensure that we do a brilliant job of your idea and property to let your dream turn into a reality, and with a caring and professional design service we give you the confidence we have done an outstanding job. If you require any more information on Barn Conversion Architects in then get in contact with Ron Sheffield Architecture today.